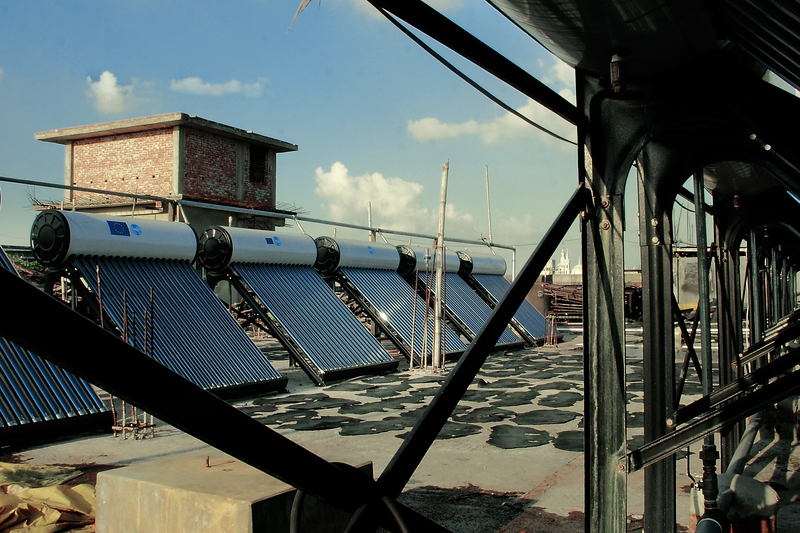 The paper presents the results of the implementation of solar collectors in three Bangladeshi tanneries as well as of energy audit in four Bangladeshi tanneries to evaluate and improve their electrical performance. It is well known that tanneries use high amounts of hot water and electricity, and today energy costs are raising very fast all over the world, with energy costs increasing their share in the costs of leather production. Other problem especially in developing countries are frequent power cuts and problems with energy supply. Tannery relocation planned in Bangladesh from Hazaribagh to new Tannery Estate Dhaka is an opportunity to implement measures to reduce energy consumption which should lead to reduced costs for production but also reduced GHG production. Therefore, within the Re-Tie-Bangladesh project (Reduction of Environmental Threats and Increase of Exportability of Bangladeshi Leather Products1) UNIDO has implemented two actions to reduce energy costs in Bangladeshi tanneries: use of solar energy - solar water heating and electrical performance improvement.